Tides Reach, Hastings Bay, Tasmania. Novel-inspiring, remote, pristine, Hastings Bay, in far south Tasmania, number 60 on Australian Traveller’s ‘100 amazing places you haven’t been to yet‘. Nominated by: Don Kay AM, composer. Head south from Hobart for about 90 minutes – almost as far as you can go by road – and you will be gazing at the very landscape that has helped one of Tasmania’s foremost composers produce some of his favourite works. Remote south-western Hastings Bay is pristine, still much the same as when the early French explorers came here in the late 18th century, and inspired Kay’s Moonlight Ridge, which was played recently by the Tasmanian Symphony Orchestra. “I tried to catch the ambience of it, the remoteness, the tranquility,” Kay explains. 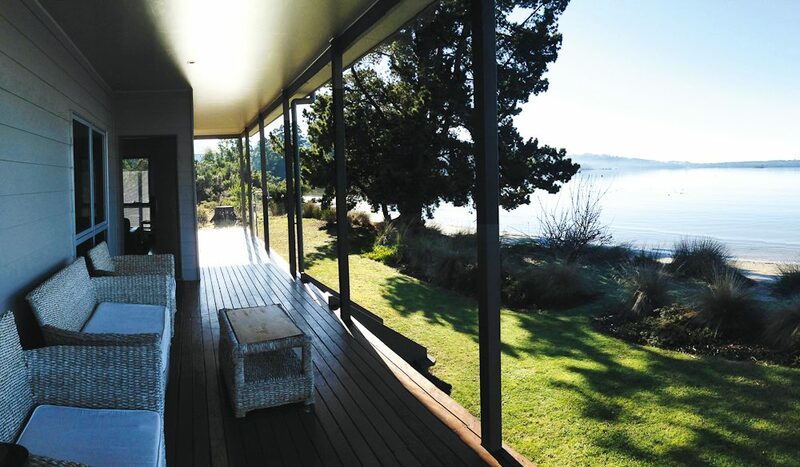 With mountains on one side and the Great Southern Ocean on the other, the sheer quietude of this part of Far South Tasmania could be the ultimate catharsis for souls facing creative blockage. If you’ve got a great Australian novel (or opera) inside you waiting to get out, there are plenty of self-contained cottages to hide out in – try the absolute waterfront Tides Reach right on Pottery Beach (from $225 a night; essentiallytas.com/o/tides_reach), so you can achieve greatness while overlooking the islands of Faith, Hope and Charity. You might also like to lose yourself in the steam of the thermal pool at Hastings Caves, which are especially steamy in winter, or on a suitably aesthetic two-hour return journey on a 1940s bush tramway. The Ida Bay Railway dawdles its way along the waterside and through bushland to a small beach hidden away from the tourists, being only accessible by water, by foot or by the train. Now that’s solitude.